Xiaomi has forayed into numerous products making earphones, air purifiers, heaters among other tech gadgets. Now, they’ve gone a step further. Xiaomi’s Electric Scooter is the latest Xiaomi product that has caught the attention of people all over the world. Should you buy Xiaomi Electric Scooter? 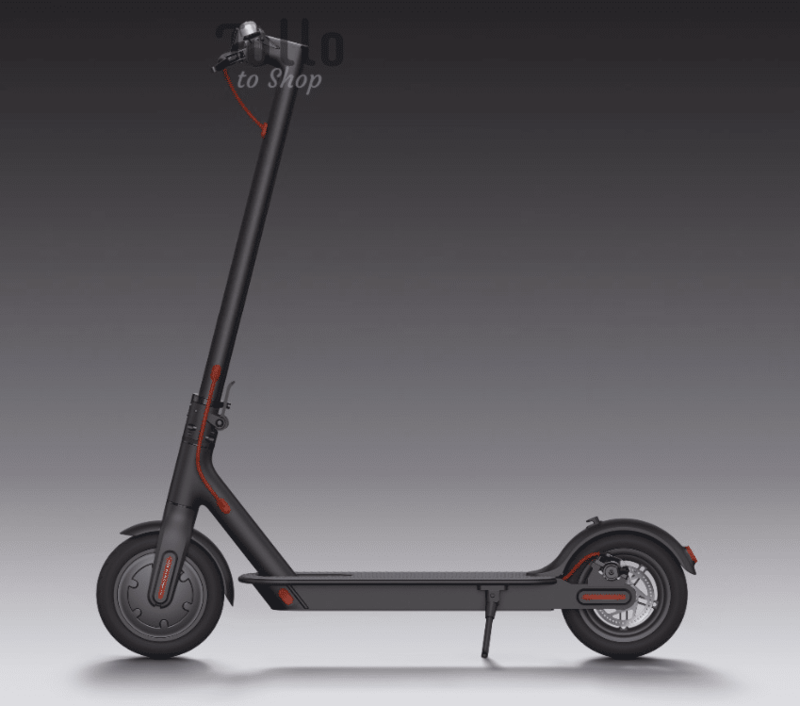 The Xiaomi Scooter has won numerous awards because of its design. It’s simple, sturdy and works. The foldable design gives it an added edge and lets you carry it anywhere. This is a big advantage. The place where you stand is made out of rubber to give a solid grip. The chassis is made out of metal, which makes it super strong. The one con of the metal chassis is the weight, it weighs around 12 kilos and it is difficult to lug around for a distance. So if you run out of battery and have some distance to cover, then you will be in a bit of a bother. The deck height of the scooter is about 5 inches from the ground. This is a bit taller than normal, but also gives you better clearing abilities when you encounter bumps on the road. Out of the box, there is a bit of assembling required, where you have to attach the top handlebar to the scooter. But this is easy to do and Xiaomi provides you with the screws and the screwdriver. The Scooter also comes with a nifty light feature that works well in the night. It also has brake lights at the back, which keeps blinking or blinks when you press the brake. This is an important safety feature that will inform vehicles behind you. Xiaomi’s Electric Scooter’s value come through in the app. The app can be downloaded from the Google Play Store. Here are some features of the app. The cruise control feature is switched off by default, but when you enable it, you give your scooter the ability to go at a constant speed without having to push the accelerator. This is great for covering distances and lets you focus on moving the scooter. You can also lock your scooter which will render it useless for any thieves. It can be stolen, but cannot be used without removing the software lock. Your app controls the scooter with Bluetooth which is blazingly quick. The app also gives you data regarding the speed you are going at, the average speed of your scooter and shows how much battery is left and also the mileage. The Xiaomi Electric Scooter can cover a distance of 25 kilometres in one charge which is one of the best among electric scooters. This let’s you cover a good distance and is a really valuable machine and not something that is just for fun. The Eco Mode feature increases the range of your scooter by limiting your speed and acceleration. So if you see your battery running low, you can shift to the eco mode feature. It’s pretty easy to enable, all you have to do is double tap the power button and a green light turns on that tells you that you are running on eco mode. This is after all a vehicle and accidents are a possibility. The back brakes are disc brakes and the regen brake has a range of 13 feet. So from top speed to a complete halt happens in 13 feet. The app also lets you control the power of your brakes, you can slow guide to a stop or you can choose the more powerful brake feature which stops your scooter swiftly. It’s all up to you. The top speed for the Xiaomi Electric Scooter is around 25kmph which is pretty fast. What will take you 1 hour can be covered in just over 12 to 15 minutes with this scooter. In the eco mode, the scooter travels at 18kmph, which is still pretty fast. What seen as a bit of a downside is the charging time. It takes a total of 5 hours from zero to a complete charge. Which is not too shabby, as you can plug it overnight and be ready to use it the next day. Xiaomi recommends you charge the scooter after you use it, every single time. This helps keep your battery levels to a safe level and avoid stoppages. The Charging port is in the bottom covered with a rubber cap to protect against dust and other substances that can clog the port. The tyres on the Xiaomi scooter are 8.5-inch pneumatic tyres. Although they are made out of rubber, they aren’t built for rough terrain, so make sure the paths are slightly smooth. The top riding panel can be folded and easily carried. It can’t be carried for long distances as it weighs quite a bit. But it can be easily stored in the boot of your car and can also be stored easily in a storage room. The scooter has a power button which acts as an instant start. Just like other scooters, you will have to give a gentle push when starting the scooter that is called a Kickoff. Once you kick off and press the throttle, the scooter does the rest. This is more than a toy and is a feasible transport in an urban environment that literally has no cost apart from charging. This is perfect for short commutes to and fro the workplace and college. For safety, it’s always recommended to wear a helmet, knee guards and elbow guards. At this price point, this is one of the best electric scooters that one can buy. Check out the shipping box below. Safe shipping ensured. Just that you need to be aware of your customs taxes.